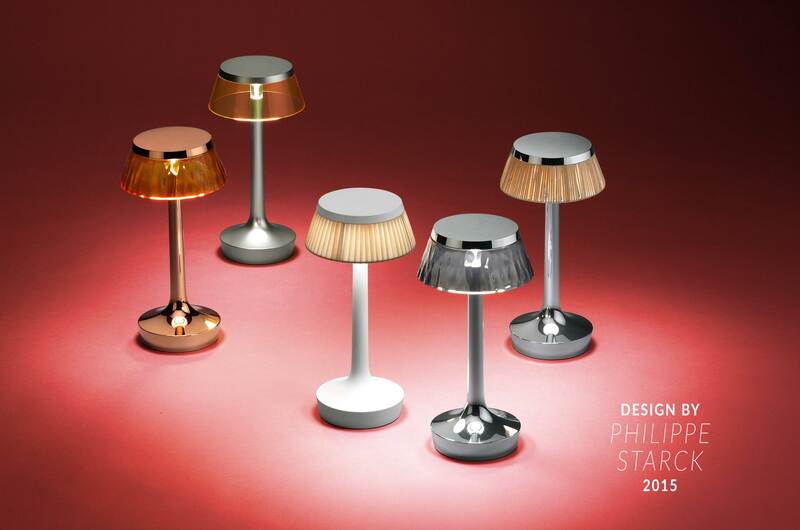 The FLOS Bon Jour Sweepstakes (hereinafter, the “Sweepstakes”) is sponsored by FLOS USA, Inc. (hereinafter, “Sponsor”), located at 110 York Street, 5th Floor, Brooklyn, New York 11201. This Sweepstakes begins at 12:01 am Eastern Standard Time on February 11, 2019 and ends at 11:59 pm on March 03, 2019 (“Sweepstakes Period”). Entries that are submitted before or after the Sweepstakes Period will be disqualified. Submissions will be accepted for the duration of the Sweepstakes Period. Sponsor’s computer is the official time keeping device for this Sweepstakes. 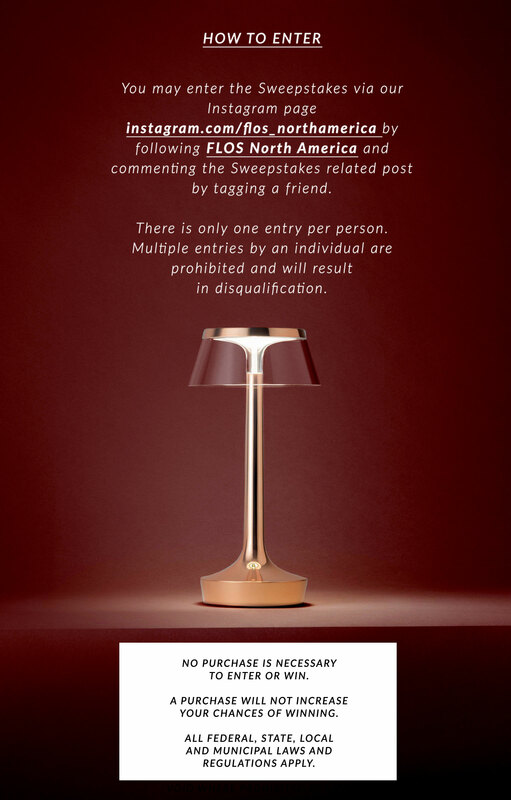 You may enter the Sweepstakes via our Instagram page instagram.com/flos_northamerica by following FLOS North America and commenting the Sweepstakes related post by tagging a friend. There is only one entry per person. Multiple entries by an individual are prohibited and will result in disqualification. One (1) Winner per week for three consecutive weeks will be selected at random in a drawing at or about 2:00 pm Eastern Standard Time on each Monday on February 18, 25 and March 4th. The winner will be selected in a random drawing, without replacement, from among all eligible entries received during the Sweepstakes Period by Sponsor, whose decision is final and binding with respect to all matters related to the Sweepstakes. Each potential winner will be notified by DM. Each potential winner will be required to sign and return an Affidavit of Eligibility, Liability and Publicity Release (except where prohibited), which must be received by Sponsor within ten (10) days of the date notice or attempted notice is sent, in order to claim his/her prize. The name prepared for the Affidavit of Eligibility must match the entrant’s name on his or her identification. If a potential winner of any prize cannot be contacted, fails to sign and return the Affidavit within the required time period, or a prize is returned as undeliverable through no fault of Sponsor, such potential winner forfeits the prize. In the event that any potential winner is disqualified for any reason, Sponsor shall award the prize to an alternate winner by random drawing from among all remaining eligible entries. Winners are solely responsible for all applicable federal, state, and local taxes and for any expenses, costs or fees associated with acceptance and/or use of prizes not specified by Sponsor as being included. Sponsor will take reasonable steps to ensure that all prizes are fulfilled approximately two (2) weeks after winner validation as above.